The Large-Block Moulding Department will receive a significant boost to its capacity with the introduction of a new twin bed ‘Tung-Yu’ press. The new press, which has two 900mm bed plates and a capability of 500 tonnes of pressure (per bed plate), will ensure that we can be more receptive and reactive to the ever increasing demands of our customers. To accommodate this new press, the Shot-Blasting Department is to be relocated to a new purpose-built installation within the main factory. 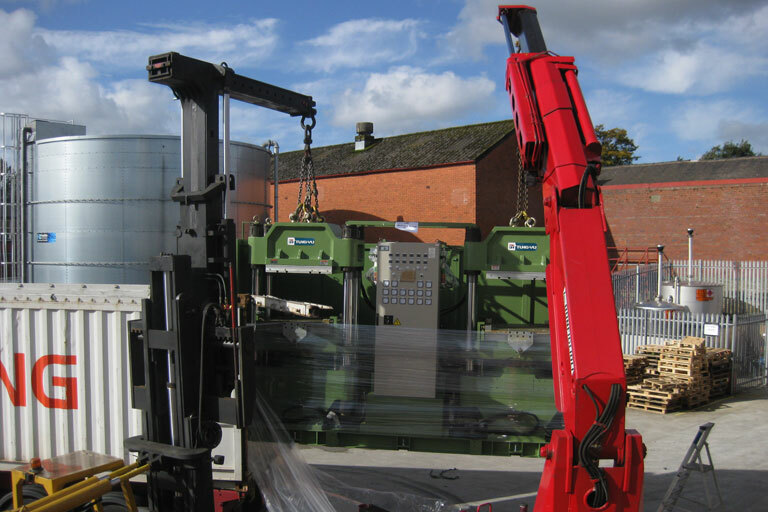 These two new presses are expected to be fully operational by mid-November 2012, boosting our ability to provide a quick turnaround on rubber coupling manufacture. Investment by Metflex enables us to be in a better position to service the Subsea and Rubber in Compression block markets. In addition the presses also result in being able to offer more Rubber to Metal bonded couplings, as capacity is opened up with this additional resource.